Yay!!! today has been nice and hot in london thank God. 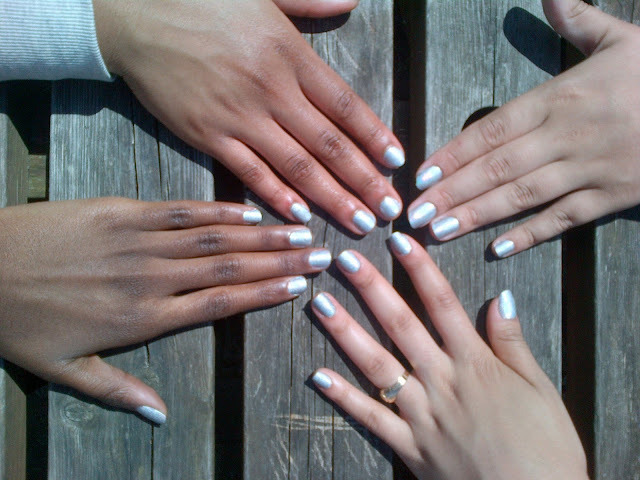 Anywho me and my girls were in college and decided to paint our nails.We used Topshops Holographic nail varnish and sally hansen nail strengthener. Sally Hansen's nail strengthener really did do its job and it made the nail varnish last much longer than it usually would. 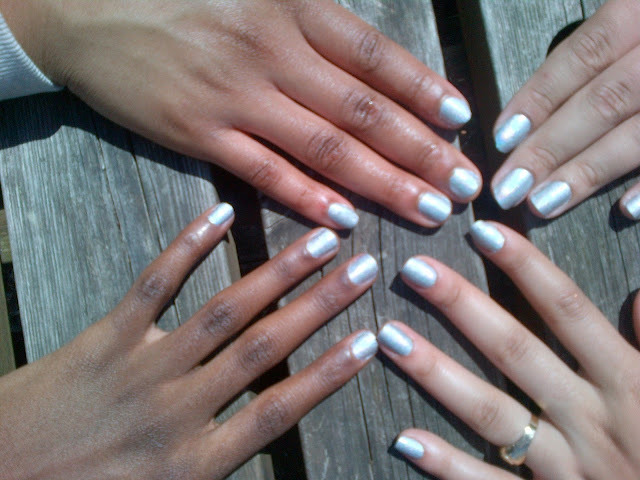 I would highly recommend Topshop Brand nail varnish and the colour came out rich and iridescent in sunlight and silvery in normal light also the colour is totally on trend for spring summer 2013. 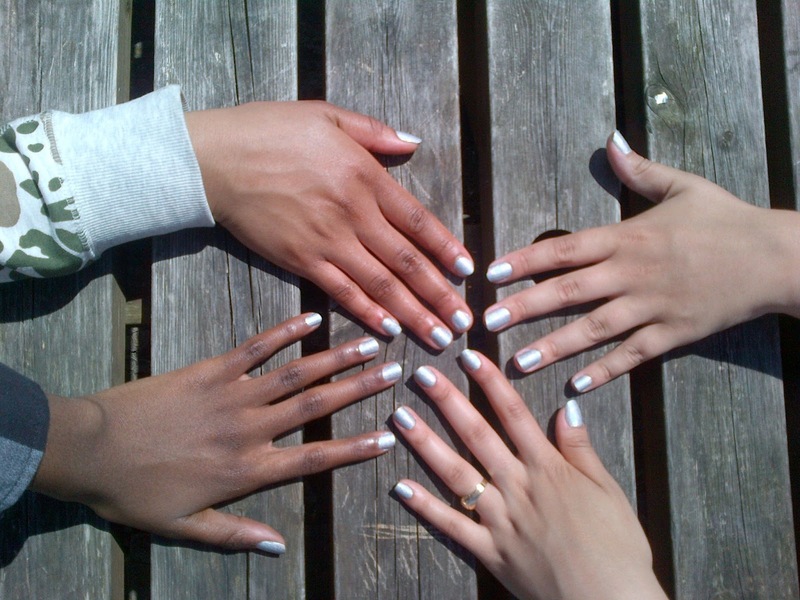 My friend maria is experienced in nail art so she painted our nails for us and gave us the full manicure treatment by filing and neatening our cuticles. Thanks Maria!!! awww thanks for the comment. Love these! I'm gonna have to look for this nail polish. 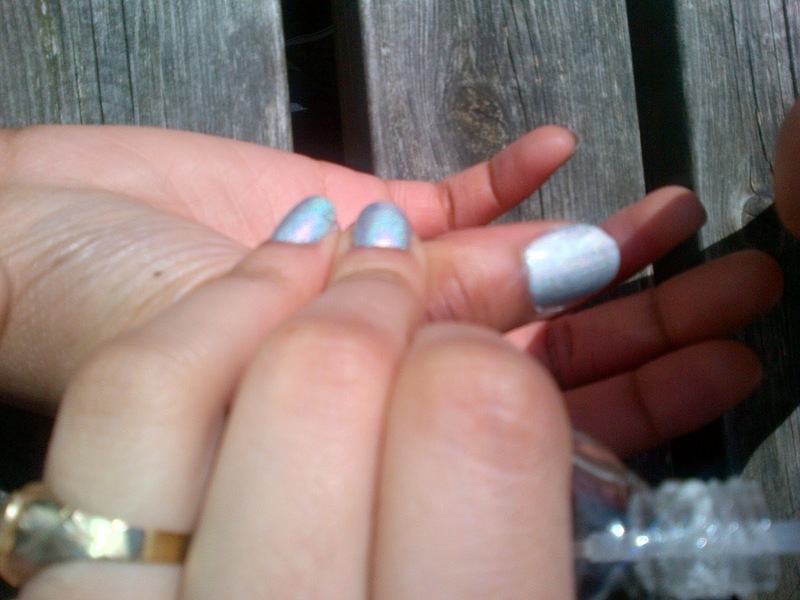 yh girl get this nail varnish. 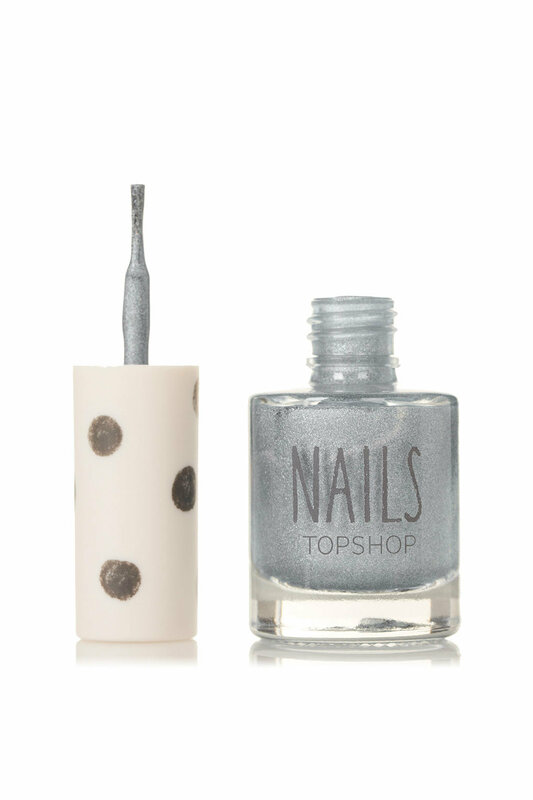 I love the Topshop nail color. sorry for the late reply yh i will follow you!!! amazing *_* your blog, is very lovely and interesting. im glad if you visit my blog, too < keep in touch! yh sure I will keep in touch!!! Hey! This polish is really nice, I have a gold one similar to it by Barry M but that one is a bit of a stronger colour. I've never tried the Topshop range of polishes before but they look great! THANKS SO MUCH!!! but unfortunately i have already participated in this award but if you still would like my answers here are mine below thanks again!!! 2.I'am going to study fashion design at university next September whop whop!!!!. 3. I am a shopaholic ! 4. I'm the weirdest person ever because i don't like crisps *covers eyes*. 5.I wasn't blessed with a middle name . 6. I attend church every Sunday*dances*. 7. I sleep soooo much when I come home from college I can nap for up to 4 hours. 8. I would love to work for a top fashion brand . 9. I want to make YouTube videos but I'm still saving up for a camera because it is really expensive. 10. I am a British born Ghanaian and proud!!!. what is your favourite accessory? what do you work as or study? what made you start a blog? what is your favourite trend for spring summer 2013? what is the best item you have ever bought? name your best clothing shop? if you had to choose what would be your favourite film? beauty product that you cant live without? Lovely!!! would you like to follow each other with GFC and Bloglovin?